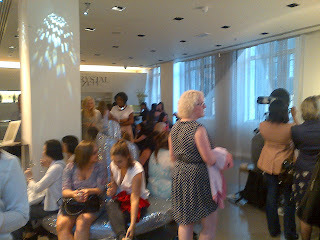 Last night I went to a fab event with Swarovski Crystallized and Look magazine. To celebrate their Spring/Summer collections, the night was a very sparkly affair! And now for the best bit - the bling! 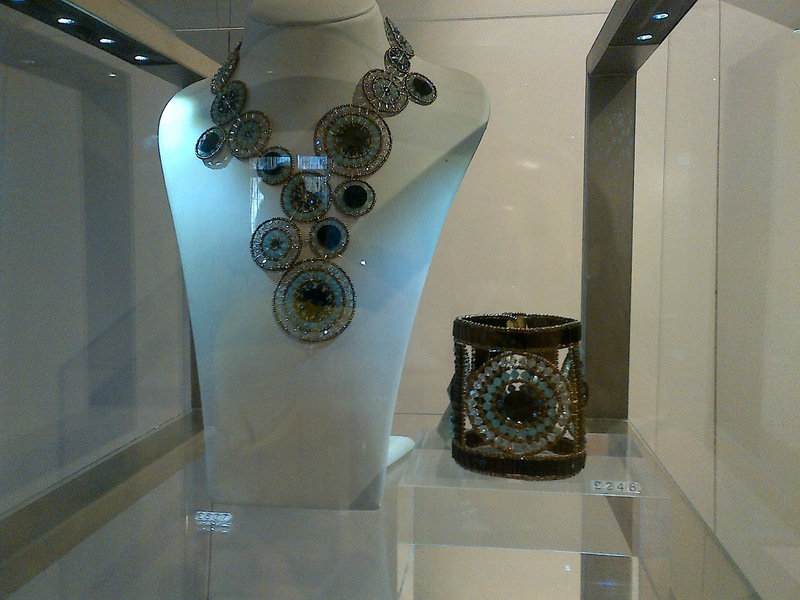 Here are just a few photos of their amazing S/S 2012 collection. 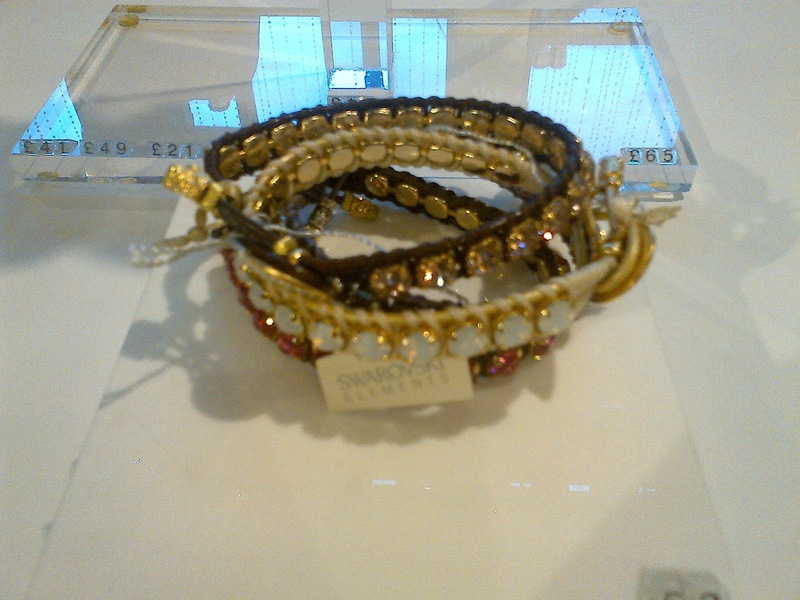 I really wanted the bracelets above, absolutely gorgeous and really pretty colours of the crystals. 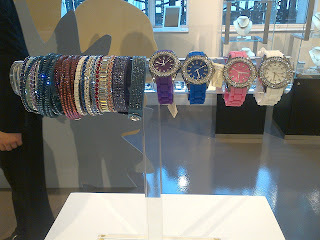 Thanks Swarovski Crystallized and Look magazine for a wonderful evening! You still have four days left to enter my great giveaway. It was an amazing show and I'd recommend everyone to see it. The effects, cast and music were breath-taking. And it doesn't hurt that the main man was very attractive! Terms and conditions are below. The competition closes at midnight Saturday 2nd June. This competition is free to enter and no purchase is necessary. Only one entry per person. Entrants to this competition must be aged 18 or over and a resident in the UK. The competition prize includes: 2 tickets to Ghost The Musical valid Monday-Thursday until 13th September. The immediate families of the blog offering the competition are not entitled to enter. milktwosugars Limited reserves the right to amend and/or withdraw the competition at any time without prior notice. The blog editor will randomly select a winner from all valid entries. No cash option or alternative to prizes offered. The winners will be notified by the blog editor following the closing date of the competition. The judge's decision is final. No correspondence will be entered into. 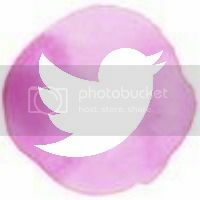 The promoter of the competition is milktwosugars Limited. This is my first ever facial oil that I've tried. And to be honest my first few days with it I was going to give up. My skin is naturally quite dry so I don't really get spots but within days I had quite a lot with this serum and my skin felt really greasy. When it says only use a few drops, really do only use a few drops! So once I actually started using it properly my skin cleared up and felt really nice. Just goes to show always follow the instructions, I was using far too much!! The bottle will last you ages because you do only need a couple of drops morning and night on cleansed skin on your face, neck and decolletage. 100% natural the smell of all the different oils, including macadamia nut and jojoba, is quite pungent. But it delivers great results. The blend gives your skin a great anti-oxidant boost and it really perks up tired, stressed-out and dull skin. It also helps with skin elasticity and toning. 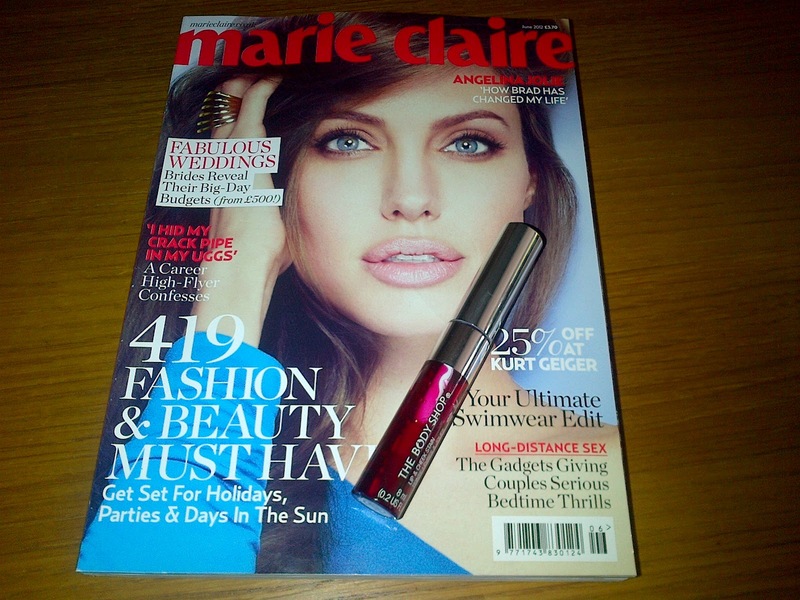 This product has won a lot of beauty awards for a reason! I found it really good for the decolletage where I have quite a bit of sun damage and it can get quite dry so I really recommend this product for that. Just make sure when you use it you only use a little bit!! I was very excited to try the Barry M magnetic nail varnish, and went for the 'star' design in a deep, steel blue which is simply called Magnetic Blue. It's the one over all their promotional material. I have to be honest the first time I tried it the effect didn't really work. I think it was because I was in a bit of a rush but I also think you do need practice with these things. Most people I've spoken to haven't been able to do it straight away. So here are my tips! Apply your base coat and then one coat of the nail polish. It's quite rich in colour so one coat gives you a good colour. I normally would then apply the second coat straight away in a normal manicure but for this allow the first coat to dry a little before you start the second, most important coat. The magnet part of the varnish comes off the top and has a little ridge on one side which is where you place your finger (and hopefully don't touch the magnet with your nail!). I didn't realise this first time round and just put the magnet over my nails any way which I think is another reason it didn't work. Then do your nails one by one. Apply quite a thick coat and then get your finger in position with the magnet. Ideally you want the centre of the magnet to be over the centre of your nail, but as long as you're near enough it's fine. Barry M say hold it there for 5 seconds, but just to be sure I tend to do it for 10. The pattern does appear instantly. It's so cool like magic!! Then a top coat and you're done. And once you've practiced it the pattern is amazing. I'm absolutely addicted now! And I don't know if the magnetic nail varnish is harder wearing but it lasts ages without chipping. The perfect nail varnish! And you get loads of nice comments as it's really eye-catching. Plus in the sun these past few days they have really sparkled! It's quite difficult to capture the effect in a photo but I hope this one gives you an idea. Yes I'm obsessed now! Would recommend everyone to try and don't get disheartened if you don't get it straight away. Let me know how you all get on. Nazila Love Glamour and The Ghost Musical - Competition! Last week I was fortunate enough to be invited to a fantastic event! A Nazila Love Glamour manicure with a complimentary Godminster cocktail which was beautiful, plus fantastic seats for Ghost the Musical. 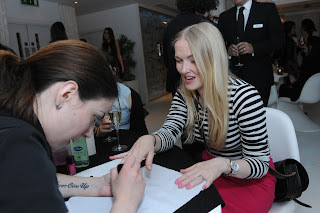 It was an amazing night and check out this manicure - my nails have never been so bling! And they matched my ring very nicely. I'm not usually a fan of false nails personally but this Nazila Love Glamour manicure was absolutely incredible. I couldn't stop looking at them! It did take me a while to get used to them, and the next day to filed them down a bit so they were more practical. At first they were incredibly long and pointy which is the fashion at the moment. But they lasted all week long and I've never had so many compliments! A definite winner. I would definitely recommend this manicure for a special occasion, they are a real work of art! And with Amanda Holden and Binky from Made in Chelsea wearing them they have the celebrity seal of approval. Speaking to Nazila on the night she said she wanted to make these nails as there is nothing else like this on the market, they are completely unique. Then came the big event, watching Ghost the Musical. I'm not a huge musical fan but this was amazing. The special effects were incredible. Plus the actors were great, singing and dancing and their personalities were fantastic. I was blown away...and the men weren't bad looking either which helps!!! We even got to meet the two main characters and got a lovely group photo. And courtesy of the lovely people at Ghost the Musical I have two tickets to giveaway!! 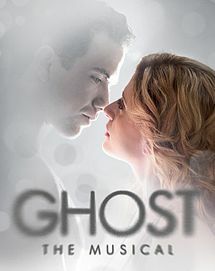 Simply email me your name, address and why you'd like to win with the subject as Ghost & Nazila Competition! christinaadores@hotmail.com Terms and conditions are below. The competition closes at midnight Saturday 2nd June. It's Friday and you know what that means - What's Hot and What's Not!! Topshop and Louise Gray collab - Coming out in August Topshop will launch a fashion and make-up collaboration with style guru Louise Gray. 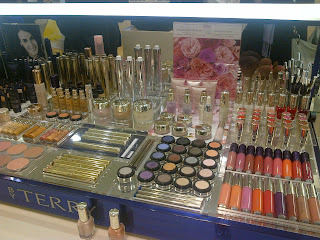 She has designed the make-up range which will include glitter pots and bright eye colours, as well as her fashion line. However I'm more excited about the make-up! 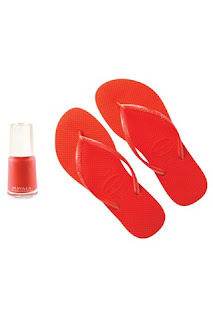 Havaiana Pedicure with John Lewis - on the second floor of John Lewis, Oxford Street, when you buy a pair of Havaianas, you will be treated to a Mavala shape and polish for your toenails in colour to match - or clash - with your flip flops. Book your free appointment until 5 June. 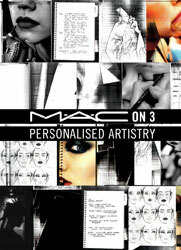 MAC on 3 - Exclusive to Selfridges, MAC will launch tailored services including Express Application (30 minutes for £20.00), Application (1 hour for £30.00), Lesson (1 hour 30 minutes for £50.00), Bridal Application (1 hour 30 minutes for £50.00), False Lash Application and Walk-in Demos. Available from June. Pin Up! 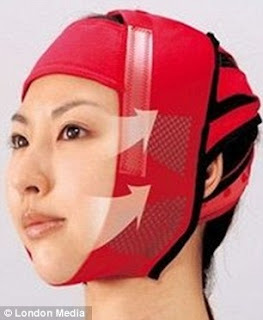 Face Supporter Mask - from Japan this weird helmet-type thing promises to reduce signs of ageing whilst you sleep. Costing a whopping £70 I don't think I'd get any sleep wearing this! Plus it looks like a rugby helmet. SPF's which don't work - Research came out this week showing us the best and worst sunscreens. Surprisingly the cheaper varieties came out top such as No-Ad. However Hawaiian Tropic and Banana Boat ranked lowest. You have been warned. Pasty legs - Get some fake tan on now! In this heat the summer dresses are coming out and tights are a no-no...but so are white legs. I did a review on new brand Unreal Fake Tan Mousse which I really recommend as well as Fake Bake Airbrush and L'Oreal Sublime Bronze. I was lucky enough to be invited to a brand new cosmetics launch last week. AKA cosmetics launched online on Friday and will be in selected retailers very soon. It was a fantastic evening at the very swish Vanilla nightclub in London. Champagne, manicures, makeovers, great food and music - what more could a girl want?! I always get excited when a brand new make-up range comes out and AKA is gorgeous. The colours are quite natural and subtle but you can build them up to make a more dramatic statement if you'd like for example on a night out. Speaking to the make-up artists and the AKA team their target market is the 20-40 year old woman. They have some very natural colours as well as the more quirky, on-trend shades. 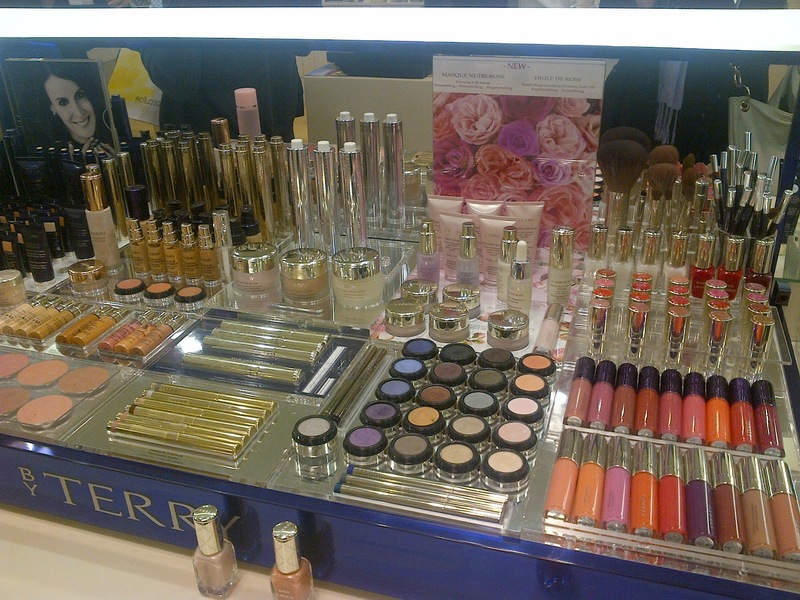 The brand has products to achieve three different looks - demure, smokey and carnival (aka the 'other you'!). A British brand, they told me AKA is two years in the making. And they are so excited for all their hard work, research and passion to finally be available to the public! I absolutely loved their Soft Mink nail polish which I had painted onto my nails. A kind of purple grey it was really beautiful. Their Smokey Eyes palette also looked gorgeous. I shall be reviewing the products very shortly! OPI Purple with a Purpose on my tootsies! 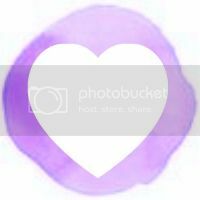 A quick post today as it's too gorgeous outside to be by the computer! But when the sun is shining you suddenly need to get your feet looking pretty. I wouldn't normally show photos of my feet (not a big foot fan!) but this colour is so beautiful I had to. OPI Purple with a Purpose is a deep purple but a pearlescent sheen over the top. It is really eye-catching. And when you're feet are on show this week it's a perfect colour to make them look oh so pretty. As with every OPI nail polish you know you are getting quality. Two coats builds up to a gorgeous, really striking shade. I can't stop looking at them. I know I don't have great feet but just focus on the colour! Part of the OPI Brights collection, I think it's the shimmer which sets this nail polish apart from other purples. It's quite a soft pink shimmer which isn't in your face at all. 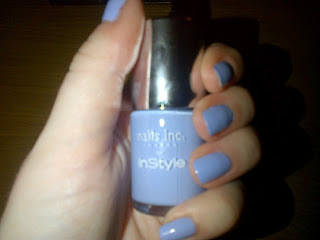 It just catches in the light - I can't stop saying how pretty this nail polish is!! Go and get it now! I love body lotions! With dry skin I have to moisturise every day so I love it when a new one comes along. SpaceNK have launched a new Beautannia Brighton range. This year is all about England with the Jubilee and Olympics and this range is to celebrate an English town in particular, Brighton. With the scent of the sea it takes you right onto the Brighton pier. 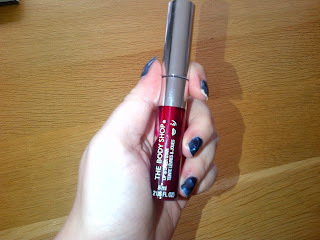 It is really luxurious, quite thick but sinks into the skin quite quickly. This means a jar will last you a while as you don't need very much. I really recommend it as it moisturises the skin for hours. Containing vitamins B, C and E it nourishes and looks after your skin to make it look at its very best. The main smells to conjure up Brighton include grapefruit, orris, sea moss and vetiver. It is a strong smell so I would say you need to pop into one of the SpaceNK stores first to be sure you like it before purchasing. It would make a lovely present for someone, or just a treat for yourself! Priced at £42 from www.spacenk.com and SpaceNK stores. OPI's new Germany collection for AW12! Available from August, these autumnal colours have typical OPI-esque names such as Don't Pretzel My Buttons and Don't Talk Bach To Me. I love their Holland collection and I think these will be in huge demand come Autumn. Twelve shades in total at £11 each I think my favourite is Schnapps Out of It! 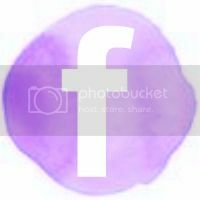 which is a fabulous mauve colour. Clinique mascara swap - Get down to a Debenhams ASAP. At a Clinique concession you can give them any old mascara of yours (doesn't have to be Clinique) and they will give you either their High Impact or High Lengths mascara absolutely free. But this great offer end on 20th May so hurry! Louboutin beauty - Perhaps one of the most exciting things is that Christian Louboutin is set to launch a new beauty range next year. Not giving too much away yet it is sure to be of the highest quality and has got the whole beauty world trembling with excitement!! It's just a shame we have to wait a year now. Real mink eyelashes - Coming here from America (where else?!) 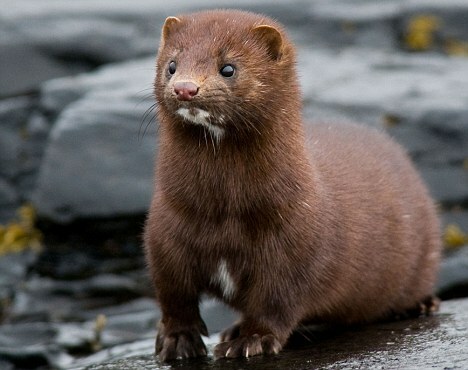 real mink eyelashes have now made it across the pond. Costing up to £5000 and made by brushing the live animals and using the fur it seems as though people's need for eyelashes has gone a little crazy. Leave the animals alone! Claw feet - I don't really like feet anyway but Kate Moss this week has shown what wearing heels constantly will do. Her mangled feet were on show for all to see. Get those seen to or start wearing flats, she's tall enough anyway! And sadly another legend died this week. RIP Donna Summer. Another great beauty freebie! 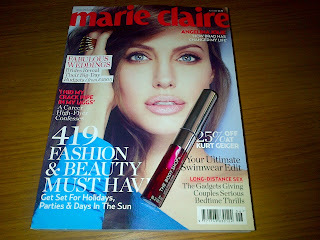 This time The Body Shop's Lip and Cheek Stain with this month's Marie Claire. Worth £10, free with the mag for just £3.70! This month has been great for freebies. 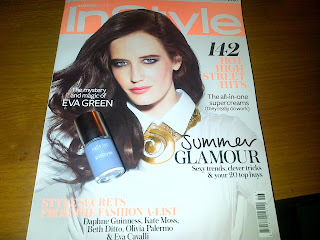 Nails Inc with InStyle and now a great product from The Body Shop with Marie Claire. Yet another reason to get down the shops. Available in Bronze Glimmer or Rose Pink I plumped for the deeper Rose Pink. 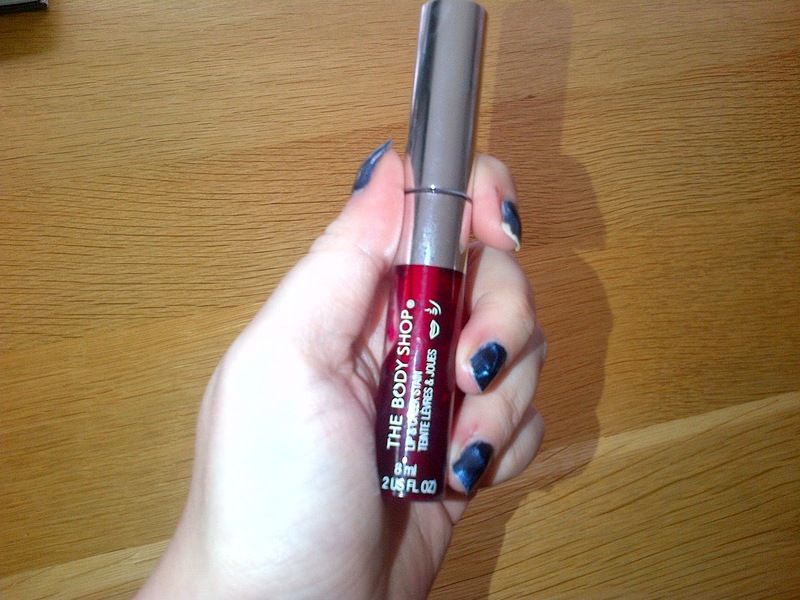 Easy to apply and very hydrating for the lips you can build up the impact of the colour from a subtle hint of colour which looks incredibly natural to an intense, vibrant red that lasts a long time. 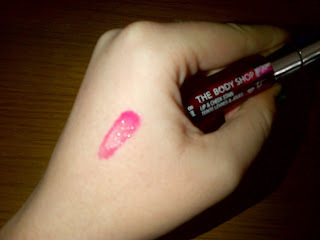 It dries matte but you could add a gloss over the top without washing out the colour if you like a shine to your lips. A great multi-tasker you can also blend it on your cheeks to give a great subtle hint of colour which will compliment all skin tones. Apply just a smear of it for those with fair skin, or build it up to a deeper flush if you're darker skinned. Normally setting you back £10 I really recommend this product. A handbag essential it freshens up your look and gives you a great pick-me-up for the lips and cheeks to take you from day to night. As part of my aim to get a 'beach body' for this summer (whenever that will be) I've been going to Zumba classes. And I LOVE it! I'm not usually into classes as I find I get bored and would rather just do my own thing in the gym. But Zumba has such great music and keeps you interested that an hour passes by so fast. There is one class I go to which uses a lot of the typical Zumba-type music which is very Spanish and we tend to do a lot of salsa moves. Whereas there is another one I do which uses current songs so we bop around to Usher, Beyonce, Olly Murs, Pitball as well as classics like Tina Turner! And there are always new routines coming out. If you're someone who struggles to motivate yourself to get on a treadmill I would highly recommend Zumba. It's fun, sociable and you can really work up a sweat. I tend to really go for it and make the most of the hour so I'm dripping my the end of it! But you can work to your own fitness level. My only concern with it is that sometimes my knees feel a little bit sore afterwards. But I have bad knees anyway. 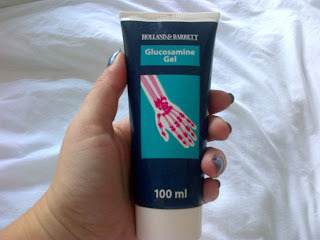 I was recommended to use glucosamine gel on them and that helps so so much. If any of you get muscle twinges on the knees, ankles, elbows, fingers, wrist, anywhere really this gel sinks in fast and gets to the cause of your discomfort really quickly. I got mine from Holland & Barratt but most pharmacies and supermarkets will sell this. I've got massively into exfoliating recently. If you've read my post on the Unreal Body Buff you'll know how much I love that. I've always known that exfoliating is a good thing to do but in the past I've tended to forget to use it as part of my shower routine. 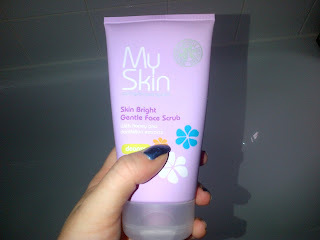 I have quite dry skin though so exfoliating keeps my skin really soft, healthy and more radiant. 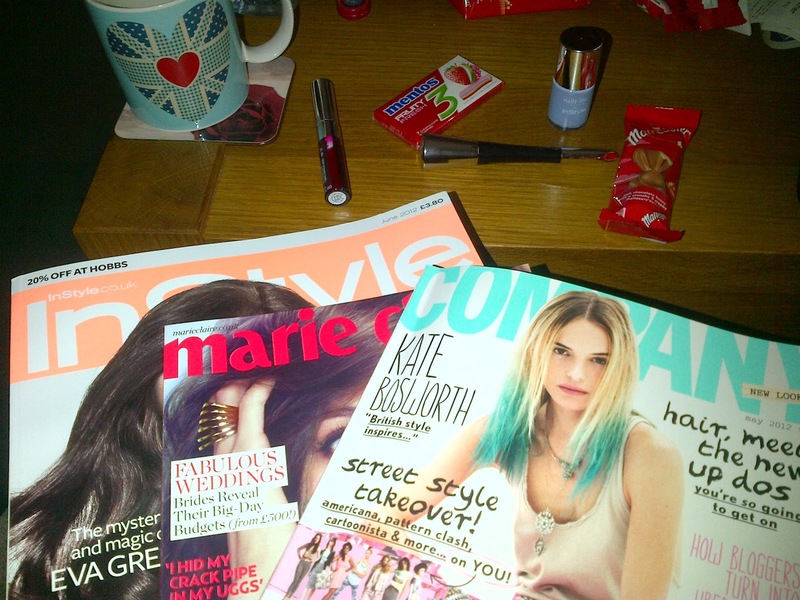 However, whilst job searching at the moment I can't be spending huge amounts of money on these products. So I decided to plump for Tesco's own brand, My Skin. And I can't recommend it highly enough. It's very gentle which you want for your face but really works. Afterwards my face feels velvety soft. And a bargain at just £3.50 and it will last a long time as you only need a small amount to achieve good results. The range is also currently on 3 for 2 at Tesco. Even more of a bargain! Paraben-free it contains a combination of ginger, dandelion and kiwi to clear your skin of any impurities. Have you used this range before? Any other products I should try? Get yourself to the shops NOW! InStyle have teamed up with Nails Inc for this month to give you some exclusive colours in full-size bottles. 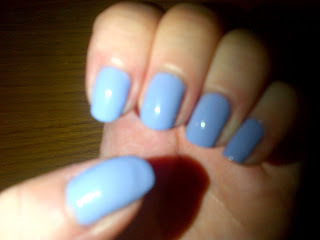 My favourite though has to be a gorgeous pastel bluey purple called Bluebell. So so pretty. I really love this colour. It's so cute and girlie and great for this season's pastel trend. Two coats build up to a great shade. It also stayed on without chipping for days so it was the good quality you would expect from Nails Inc.
Only available with this month's InStyle magazine for just £3.80, it's probably the best beauty freebie out there at the moment. Lots of magazines have good quality products included in their price at the moment but this one is the best! Get out there and fight for one now! This week's Hot and Not! 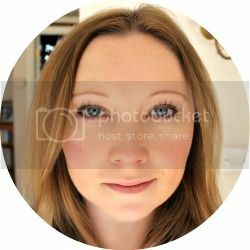 Magazine freebies - they all seem to be offering some fantastic beauty product at the moment...I limited myself to three this week but wanted more! Get yourself to a newsagents fast. Ciate in Selfridges - Ciate opened their pop-up shop in Selfridges yesterday. Only there for a week, it's the only place to buy their infamous Caviar Manicure at-home kit in either black, white or rainbow. Priced at £18 each, I'm struggling to decide which one I should get! Also available online. Body hair - it's not a feminist statement, it just plain wrong. Men haven't won anything if we shave! We're not conforming to 'artificial gender norms' as this lady on This Morning claims. No, no, no! Pale skin....but don't go too far - It seemed every celebrity walking the Met Gala red carpet had a sunkissed glow about them. There's no denying that a tan makes most of us feel better about our bodies and looks healthier. 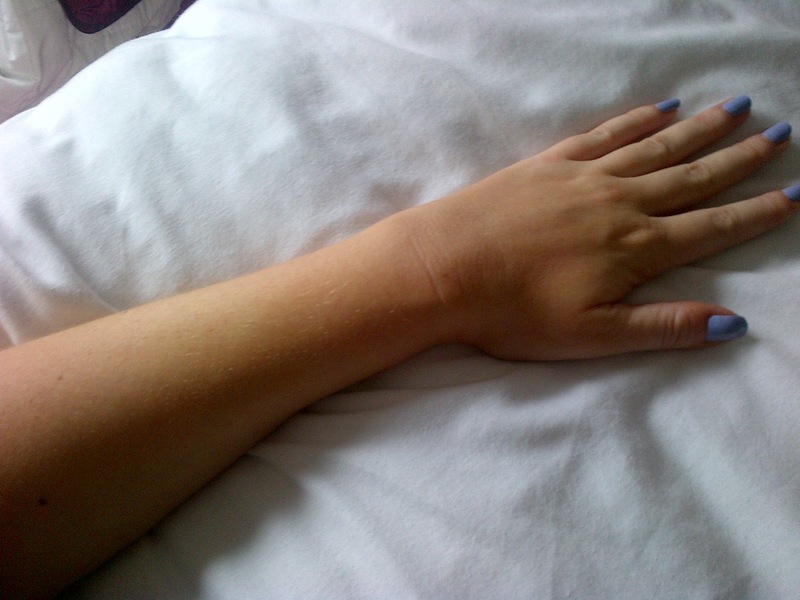 However don't go too crazy on the fake tan. H&M are in a spot of bother this week about their recent ad with a deeply tanned model. Pointy nails - I know it's the latest trend and it's supposed to make your fingers look longer and thinner, similar to stilettos for the legs! But to me it just looks witchy and really really impractical. And of course this week we lost a true beauty legend that went on to influence and inspire so many people in the beauty industry. RIP Vidal Sassoon. Unreal Bronzing Mousse & Body Buff! After coming back from travelling my tan has faded with every dreary day that goes by. So I was very excited when Unreal Fake Tan offered to send me their bronzing mousse and body buff exfoliator. Sunkissed here I come! However I was also a bit cautious with trying a new fake tan brand. I shouldn't have been though. I genuinely love their products. I am now a big fan of the Body Buff. It has lots of beads in it so you really feel like it's doing something, without it drying out the skin. I've used exfoliators in the past which don't seem to really do anything. This one makes your skin feel so soft it's amazing. It has mango, shea and coconut butter. I'm hooked on it! 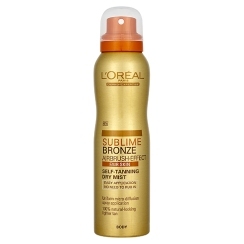 With the bronzing mousse I tried first of all on just my legs (told you I was wary about it!). It's a mousse formula which goes on really easily and evenly and sinks into the skin very quickly with no stickiness at all. I then advanced to tanning my whole body. Again, very easy and I woke up to a beautiful even tan. It is quite a light tan so looks really natural which I like, but for those who want a deeper glow you could build it up to the right tone for you. It would be great for pale skin with just one application. There was no marks left on my bedsheets and again nothing on my white towel after showering. I think that is a big test! I've had many towels discoloured by fake tans. 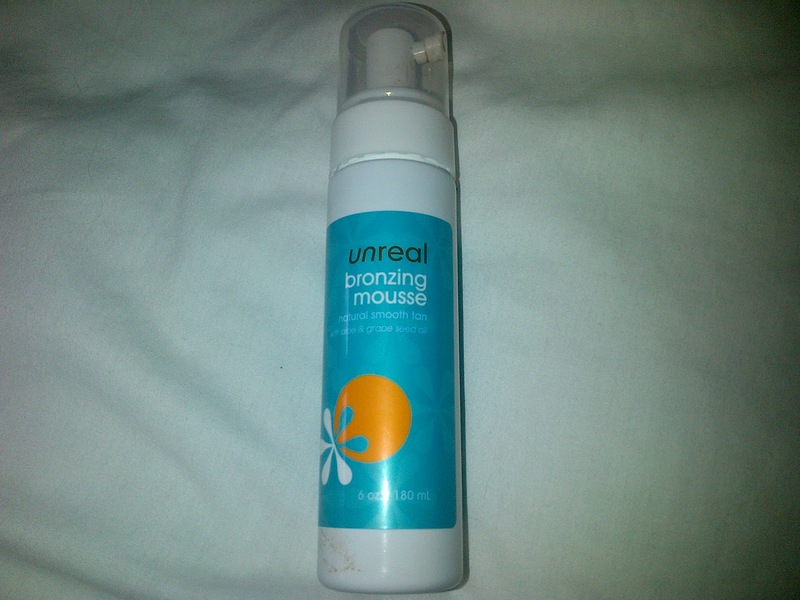 The Unreal Bronzing Mousse contains antioxidants as well as vitamin E and hylaronic acid to care for your skin. Bonus! As with all fake tans it does have that 'biscuit' smell but not as strong as others I've tried and by the morning the smell had gone. The Unreal Body Buff is priced at £12.61 and the Bronzing Mousse is £19.25 from www.unreal.me.uk They have free UK shipping for this month as well! 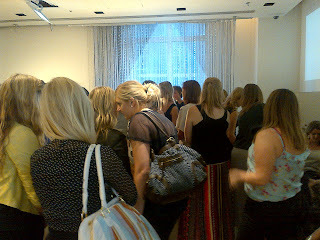 A couple of weeks ago I was lucky enough to see the launch of the new range from By Terry. Even got to meet the infamous Terry who was wonderfully chic! 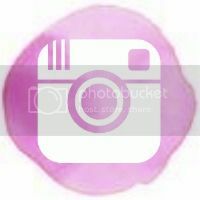 One of the new products is the Aqualip Jelly Tint. 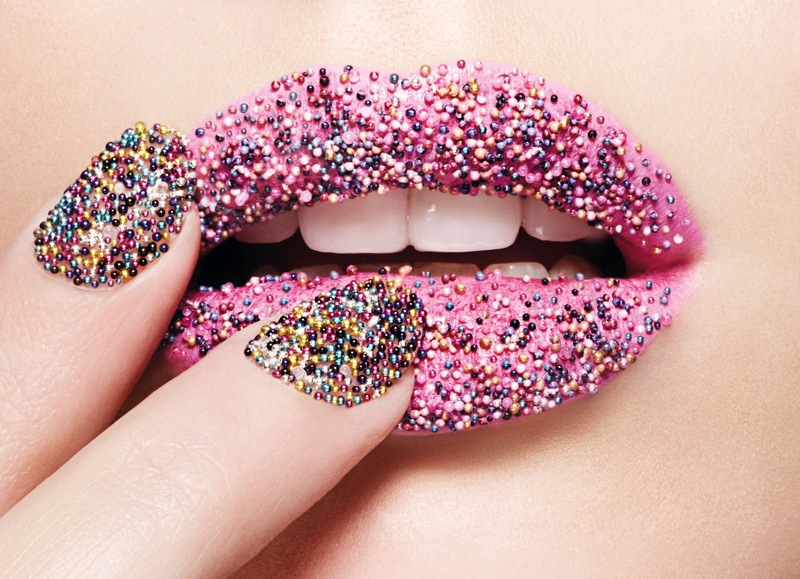 Jelly-like products seem to be having a bit of a moment in beauty this season. 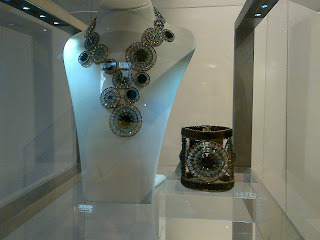 And this one has to rank up there for a must-have for S/S 2012. It is ultra-light on the lips and dubbed a 'colour tattoo' it is more of a lip stain than a lip gloss. Even though it looks tangerine in the tube it comes out a bright pink, which you can have as a subtle wash with just one application, or you can build up to a really vivid showstopper. I always worry with stains that my lips will then feel really dry. But with this you don't even notice you've got anything on your lips. This is credited to the hydra-diffusing and fragrance-free formula. And it stays put for hours so you can apply in the morning and keep looking fabulous all day long! Perfect for us lazy beauties. My only word of warning is that before using this make sure your lips are super smooth. Being a stain giving a matte finish it will pick upon any dryness and cracks you might have on your lips. But that shouldn't be a problem for most and it really is a lovely colour. 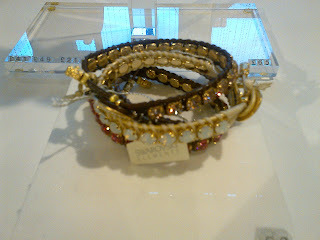 Available at SpaceNK stores and online now for £22!